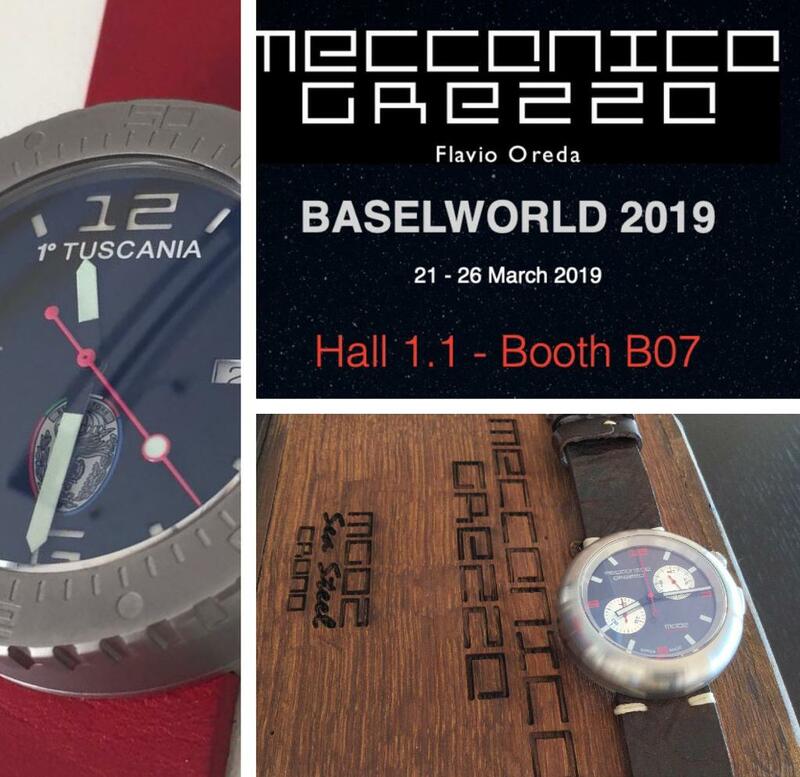 Home > Events > Meccanica Grezza in Baselworld 2019!!! Our partner Meccanica Grezza is going to be in Baselworld 2019! Exclusive preview of the New Production! 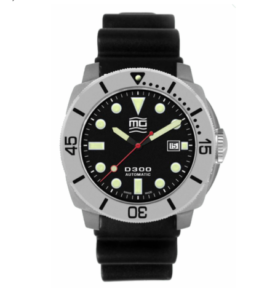 Discover the Italian Design in Swiss Made Watches. Do not miss it, send them an email to info@meccanicagrezza.it and schedule your appointment with them. Bottom made of AISI 316L steel, diameter 38 mm, thickness 6.5 mm, machined from solid with “flange” stop and sealing O-ring blocked with Allen head screws in AISI 316L steel. 2.5mm thick anti-reflective sapphire crystal. Automatic movement ETA 2824/2 11/2 ” ‘lines, 25 jewels, 28,800 vibrations / hour with customized charge rotor and “Côtes de Geneve” finishing. 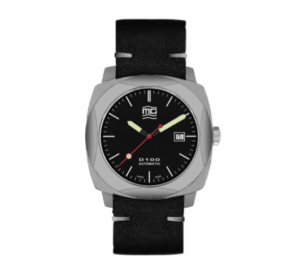 Case in AISI 316L steel, 44 mm diameter, 16.75 mm thick, worked by a bar and brushed by hand. Bottom made of AISI 316L steel, 44 mm diameter, thickness 6.5 mm, machined from solid with “flange” stop and sealing O-ring blocked with Allen head screws in AISI 316L steel. 4.5 mm thick anti-reflective sapphire crystal. AISI 316L Stainless steel case 43mm.“Balck NIght” matt dial with “super-luminova” index; metal hand with “super-luminova”, second hand red. Srew crown with o-ring at 3 o’clock. Bronze case 43 mm . 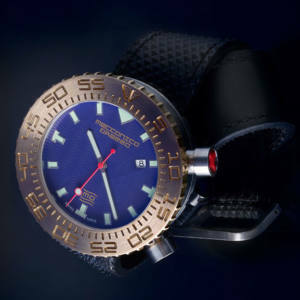 “Blue Abiss” engraved matt dial with “super-luminova” index; metal hand with “super-luminova”, second hand red. Srew crown with o-ring at 3 o’clock. Sapphire glass 4mm. 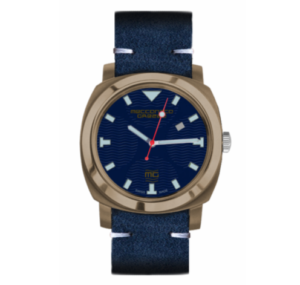 Blue Leather strap loked with double screw. 200 mt deep resistant. Personalized Swiss automatic movement Eta 2824/2, 28800 vibration/hour, 4Hz, 25 Jevels. Power reserve 40h. AISI 316L Stainless steel case 43 mm and rotating bezel hand brushed. 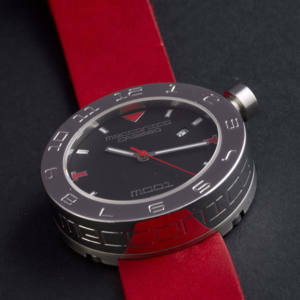 “Black Night” matt dial with “super-luminova” index; metal hand with “super-luminova”, second hand red. Srew crown with o-ring at 3 o’clock with protection. Sapphire glass 4mm. 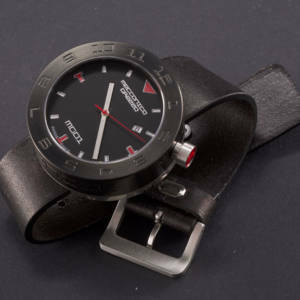 Black Leather or tecnical strap loked with double screw.